There's nothing better than a late night kebab, yiros, gyro, souvlaki or shawarma. 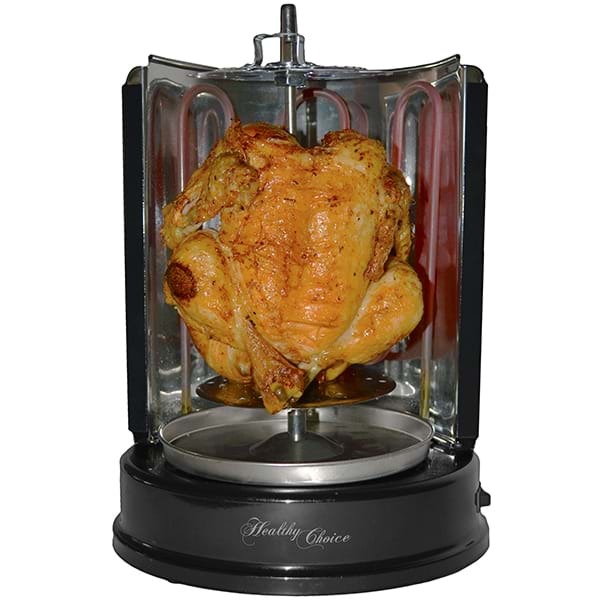 No matter what you call it, if you enjoy shaved meat then you will definitely want to get your hands on one of these rotisserie machines! Yes, rotisserie machine. That you can set up at home, on your bench, to cook your own meat. You can also cook a whole chicken on the rotisserie! No more supermarket BBQ chickens for you. 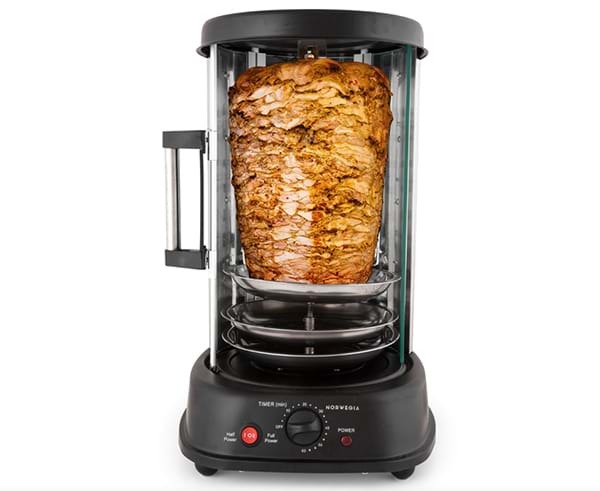 It kind of looks like a blender, but instead of mixing your food up it cooks it to the perfect level of crispiness on the outside, while still being juicy on the inside. No more running to the kebab stand at 3am! Please note this article was written by a pescatarian who has literally no interest in owning this product, but I can appreciate that other people might enjoy it.